When I was in middle school, I had the undeserved reputation of being a “smug and superior brainiac,” and was punished for it repeatedly by those who were neither. Of course, my grades were only slightly above average, and my standoffishness was just the result of being terribly shy. This preceding paragraph is no doubt the beginning of so many geeky monologues, as is the rest of this confession. In truth, and cutting to the big finish, we and those like us, have hopefully all found our clans and bonded. But at least in my youth this was not going to happen until many years later. The oddest thing about this time was the label, not a name but a word meant to discourage and dismay, my tormentors used to embarrass me was the name of my hero. 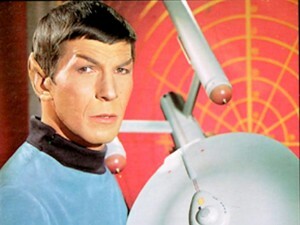 They called me Spock. And, of course, the confusion and dismay of being ridiculed for just being me was still hurtful, and made me feel rejected, socially a failure, and even more shy. The label itself didn’t matter, it was what the label meant to them, not me. This never stopped me from talking to anyone who felt similarly about how awesome (I think at the time the translation of awesome was boss) the Star Trek show had been. The three seasons were over, the show long cancelled, and was now available only in reruns. If I discovered a like-minded person we would bond. Friends forever. People like Jeff Smith, Tom Rose, and Gordon Storga were Vulcan brothers to me, and still are to this day. Of course, Star Trek became The Star Trek Franchise, and with movies and many more television shows the geeky series became as close to mainstream as you can expect. But you know all that. 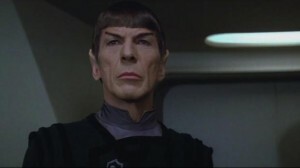 What you don’t know is that Leonard Nimoy stuck with me as being the most important part of my fandom. I really can think of nothing more influential than the portrayal of the ever logical Mr. Spock, who even with all that rational thought at his disposal, could never quite get the hang of his human half. I admired Nimoy for this and followed his career unflinchingly through everything from Mission Impossible to Fringe. And of course I enjoyed all his characters, as well as whatever speaking engagements I was able to attend, and his writing. But it they never spoke to me like Spock. And that is why his death today, even though he had a wonderful and productive life and died at home among family and friends, hits me hard. It’s not rational and, of course, the Spock side of me will try to reason that I should simply shelve the event and honor the man’s life. But the human is inconsolable at the moment. And frankly I’m fine with that. 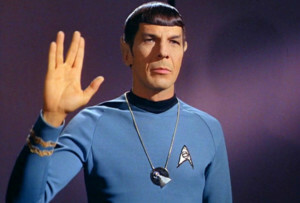 Because I’m not Spock, I just wanted to be. 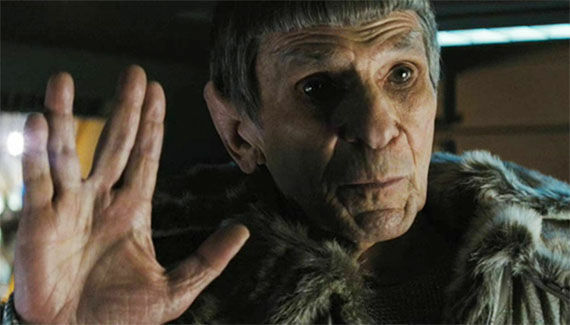 This entry was posted in Entertainment, Film, Geeking around, History, Home and Family, Media, Movies, Personal, Random thoughts, SciFi Fantasy, Thoughts and tagged Childhood, Leonard Nimoy, Star Trek. Bookmark the permalink.